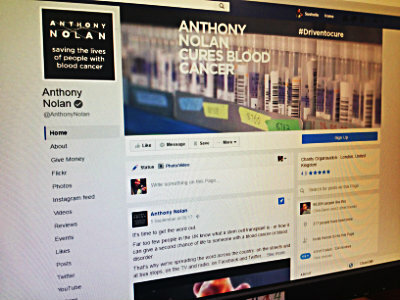 At Anthony Nolan, we’ve been working to radically improve how we use Facebook – with the help of a dedicated content strategy. In August 2015, we published 45 Facebook posts to our 50,000 followers. Two-thirds of these were what you could call ‘niche’, or transactional posts. In other words, they were posts that had been requested internally to serve a specific need: campaign announcements, thank yous to corporate sponsors, promotions for fundraising challenges, and so on. Often necessary, but never popular. Story-led posts about stem cell donation, transplants or blood cancer consistently performed far better, being universally interesting and certainly more relevant to our audience overall. However, these made up just 15 of the month’s posts. A lack of overall direction to lead us to those stories. In other words, we needed a content strategy. We took our inspiration from one of the most consistently brilliant, high-performing charity pages out there: NHS Blood Donation. The NHS Blood Donation social team has taken great care to use its page as a storytelling platform, focusing almost exclusively on the inspiring ‘push’ of donor experiences and the urgent ‘pull’ of patient stories – both of which perform consistently well. These posts are instrumental in encouraging followers to share similar stories about their own experiences – it’s a genuinely sustainable strategy, allowing them to post twice a day, on average, without ever seeing a dip in quality. We decided to identify the most consistently popular stories we could tell on our own page week after week, while regulating our output of unpopular or irrelevant posts. After delving back into our timeline, we established four ‘pillar’ stories of our work. All these topics perform consistently well on our page, and all provide our followers with a good reason to engage. They also combine to tell the complete story of our work – someone who reads all four stories will have a pretty good understanding of what we do, and the impact it has. These four pillars should form the foundation of our daily Facebook content. These pillars should never be in the minority compared to niche posts. At the very least, there should be a 1:1 ratio. We needed to ensure we were putting out fewer niche posts, without causing tension internally or being unconstructive with our colleagues. To improve internal awareness about our new strategy, we ran a lunchtime workshop, explaining what we know about Facebook’s algorithm and how it drastically reduces the reach of low-engagement posts, making it in everyone’s interest to come up with universally engaging content. We also worked with a few key colleagues to create posts that combined niche calls-to-action with universal appeal (or as I called it, ‘doing a Columbo’ – an interesting storytelling post with a call-to-action right at the end). When these performed demonstrably better than straightforward calls-to-action, we could then share the results and inspire others to take a similar approach. In August 2016, we published 32 Facebook posts – 22 of them were ‘pillar’ stories, and just 10 were niche posts. The numbers continue to increase as we implement the strategy, learning as we go (in July, we saw a 410% increase in average engagements; in June, a 340% increase). Weekly engagement on Facebook is consistently higher than other charity pages with the same number of followers, too – on a good week, it’s comparable to charities five or six times our size. And it’s led to concrete results for us as a charity, as well. 14,000 people have registered to donate with us through organic Facebook posts so far this year – a 55% increase from 2015. In short, we’re delighted that our content strategy has helped to transform engagement on Facebook, and can’t wait to build on performance throughout the rest of 2016.